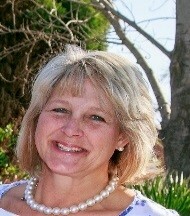 Andrea is professional associate at GIBS and a qualified MBTI practitioner. She has worked in the corporate sector and private industry for a number of years consulting on various levels. She has over 20 years of experience as both a consultant and a coach and facilitator. She is also a clinical psychologist with a private practice, including many areas of psychology and therapy. Andrea facilitates executive and management assessments for various multinationals both locally and in internationally. Andrea is married with two boys and her main values are family, loyalty, achievement, enjoyment, leadership, integrity, achievement, humility and spirituality. A Phenomenological dissertation - Career Women's Experience of Motherhood – publishing date: 1997. Various national magazine publications on: Work life integration and Women Development. Team and group facilitation. Organisational Development and Change Management. Change & Cultural facilitation. Life Coach - Balance, Success, Health. Executive & Management Assessment and Talent recruitment. Industry experience: FMCG, Retail industry, Automotive Retail, Pharmaceutical, Tele-Communications, Mining, Banking & Finance, Construction & Building and other. UNICEF LDI International Programme, Petrochemical industry, Multinational corporations. Companies & Programmes Facilitated & Coached: UNICEF LDI International Programme 5 years. MBA LEAD & Entrepreneurial MBA Anglo America PME and TAP, Vodacom, Implats Senior Management Programme, MTN Global, Bank Seta Executive Development Programme, Cell C, Bidvest, GIBS MFR, MMR and GMR. GIBS Leading Women Programme 9 years, Imperial, Midas, AMH, Volkswagen and Audi, BMW, Murray & Roberts, Concor, PPC ICASA, SARS, Mr Price, Discovery Health, Adcock Ingram, Life Health Care, BDO, Deloitte, KPMG, PWC, Ernst & Young, ABSA, Standard Bank, Netback, FNB, Barlow World LDP, BP Management Programme, Robor, Auditor General, Sasol, Transnet, Telkom, Department of Foreign Affairs, Optima Training & Development. International Coaching & Facilitation: Singapore, Hong Kong, China, Argentina, Croatia, Panama, Canada, United Sates of America, Prague, Africa – Uganda, Nigeria, Kenya –Philippines, Cambodia, Nepal, Bangladesh and India.